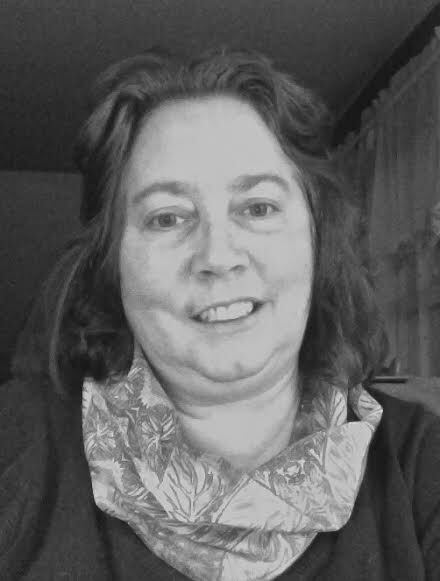 Pat Esden, one of our readers for the Vermont SF Writer’s Series, announced today that she’s signed for a three book deal with Kensington books. Patricia Esden, who has published a number of short stories and novelettes, sold her full-length debut, Moonhill, to Selena James at Kensington. James took world rights, in a three-book deal, from Pooja Menon at Kimberley Cameron & Associates. The new adult paranormal work follows a 20-year-old antiques dealer who, Menon explained, has a run-in with the “dangerously handsome” groundskeeper of her family’s estate after returning to the place with her father, hoping to save him from what appears to be dementia. Esden has been published in such SF and fantasy magazines/zines as Challenging Destiny and Orson Scott Card’s Traveling Medicine Show. Moonhill is set for spring 2016. The YA thriller I read from at retreat wasn’t the first manuscript I had go on submission. My first manuscript went out a little over a year ago and failed to sell. Well, to be more correct, my agent and I quickly decided to stop pitching the manuscript because it was YA gothic with paranormal elements and the market for paranormal had waned. We figure it was better to tuck that manuscript away and bring it back out when editors started looking for paranormal again. I’m guessing you know where this is headed, so I’ll cut to the important part. Turns out an editor that we hadn’t heard back from loved the first manuscript and was willing to buck trends for it—with a slight change. My young adult gothic manuscript is transforming into a new adult paranormal. Today, Erin E. Moulton releases her latest book, Chasing the Milky Way! Lucy Peevy has a dream—to get out of the trailer park she lives in and become a famous scientist. And she’s already figured out how to do that: Build a robot that will win a cash prize at the BotBlock competition and save it for college. But when you’ve got a mama who doesn’t always take her meds, it’s not easy to achieve those goals. Especially when Lucy’s mama takes her, her baby sister Izzy, and their neighbor Cam away in her convertible, bound for parts unknown. But Lucy, Izzy and Cam are good at sticking together, and even better at solving problems. But not all problems have the best solutions, and Lucy and Izzy must face the one thing they’re scared of even more than Mama’s moods: living without her at all. Order it from your local friendly bookstore! VPR’s Vermont Edition will be hosting their annual book show later today, and with it, my plea to readers to call / write in to let them know that Science Fiction / Fantasy do have a place in literary canon / listener’s bookshelves. For some people, summer is full of hectic, busy days spent running from one event to the next. Others like to enjoy summer at half speed: on a picnic blanket with a glass of lemonade and a good book. If summer for you is synonymous with ‘summer reading,’ then you’ll want to listen to our summer book show. 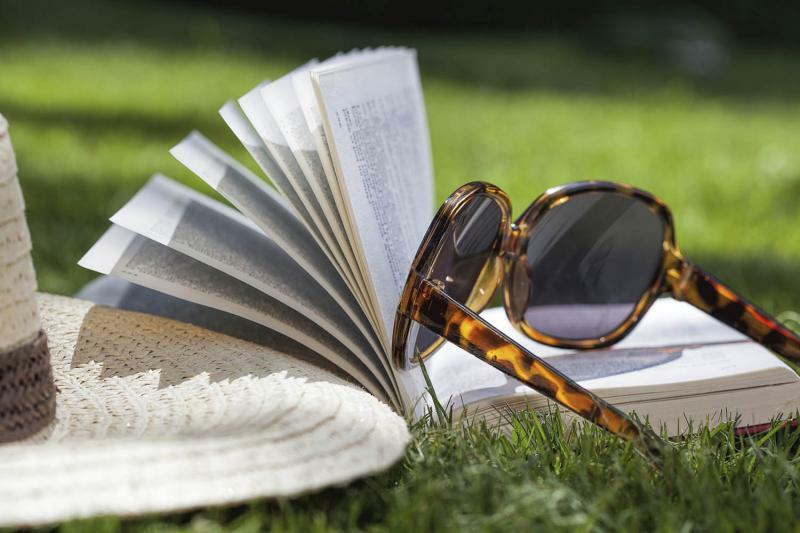 We’ll talk to Josie Leavitt, co-owner of Flying Pig Bookstore in Shelburne, and Stan Hynds, book buyer for Northshire Bookstore in Manchester, about what makes a good summer read. And we’ll get some of their suggestions for what books we should throw in our picnic baskets. Drop them a line here and listen in at noon / 7pm! In the battle between Amazon and book publisher Hachette, another retailing giant is finding a way to profit. Walmart (WMT) says its book sales have jumped 70 percent since the dispute erupted between Amazon.com (AMZN) and Hachette over contract terms. With the standoff, Amazon has pulled pre-order buttons for soon-to-be-released books by best-selling authors such as J.K. Rowling and Michael Connelly. Barnes and Noble is hosting UK author Moira Young in an event tomorrow to support the release of her latest YA novel, Raging Star, the third book in her Dust Land series, which was released earlier this week. She will be in the store tomorrow (May 16th) at 7:00pm for a discussion and signing. Saba is ready to seize her destiny and defeat DeMalo and the Tonton…until she meets him and he confounds all her expectations with his seductive vision of a healed earth, a New Eden. DeMalo wants Saba to join him, in life and work, to create and build a healthy, stable, sustainable world…for the chosen few. During the month of May, in celebration of Children’s Book Week and the importance of books in children’s lives, we will be hosting a Book Drive for the Hardwick Head Start and Early Head Start programs. Our goal for the month is to have one book to give each of the 26 children currently enrolled in the Head Start or Early Head Start programs. Those books will be sent home to add to the children’s personal libraries. In addition, we hope to collect books to donate to the Head Start classroom library, to be read and enjoyed with students for years to come. So, if you’re in the area, consider donating a book before the end of May.